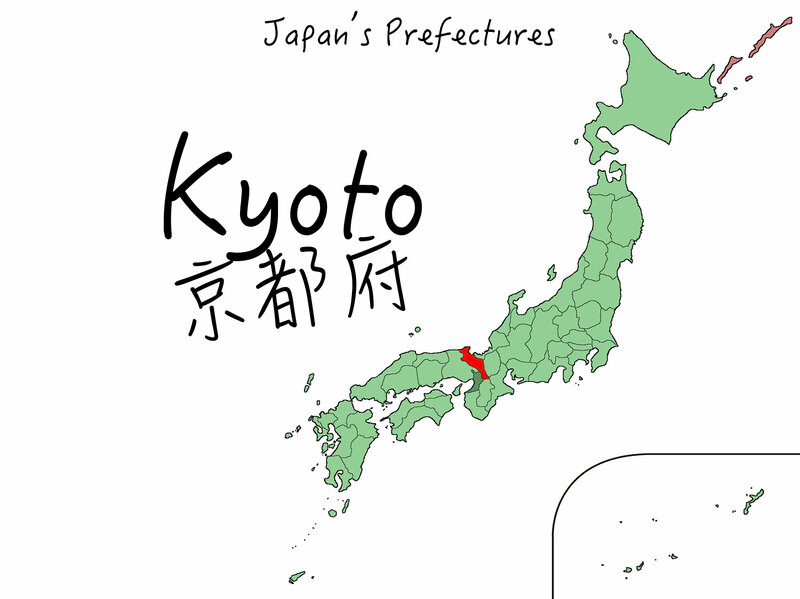 Kyoto Prefecture is super famous. There’s no dispute there. Found in the middle of Honshu Island and with its own distinct dialect and Kansai flair, it’s a huge tourist destination. It was previously the capital of Japan, and unlike most other prefectures, it has the suffix –fu instead of –ken (most prefectures are called name-ken to indicate name-Prefecture, but –fu is special for Kyoto and Osaka only, it signifies them as non-rural in really old classification systems). 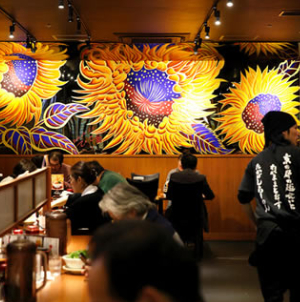 To travel here, you can take the Shinkansen (4 hours from Tokyo) or fly to Kansai Airport. Bonus fun fact: the head quarters of Nintendo is in Kyoto! But what food does it offer? 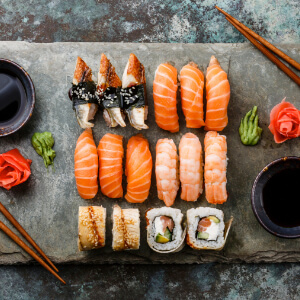 Most people will immediately think of traditional foods served at ryokan (traditional inns) but probably don’t actually know what the dishes are. Kyoto’s local foods are actually pretty simple and not complicated at all – though they can be served in a complicated way. 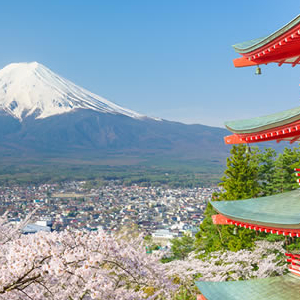 Kyoto is probably most well known for the geisha, Kiyomizudera temple (the one hanging over the cliff face), Fushimi Inari (the thousands of red torii gates) and kimonos. One thing that all of these things have in common is that you can drink tea with, at, or wearing all of these things. 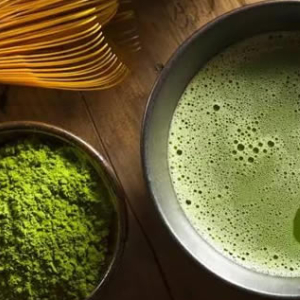 Have you heard of Uji Matcha? Uji isn’t just the brand name, it’s a region in Kyoto where tea is grown. For lovers of all things tea and matcha, you can go to tea ceremonies in Kyoto, or even splash a bit of cash to hire a geisha for a private dance and tea. Tea ceremonies originated in Kyoto, so you can expect to get the real deal no matter where you go, but have a look at Camellia, En, or Tea Ceremony KOTO for bookings. One thing I love the most about tea, is it can be made into desserts! 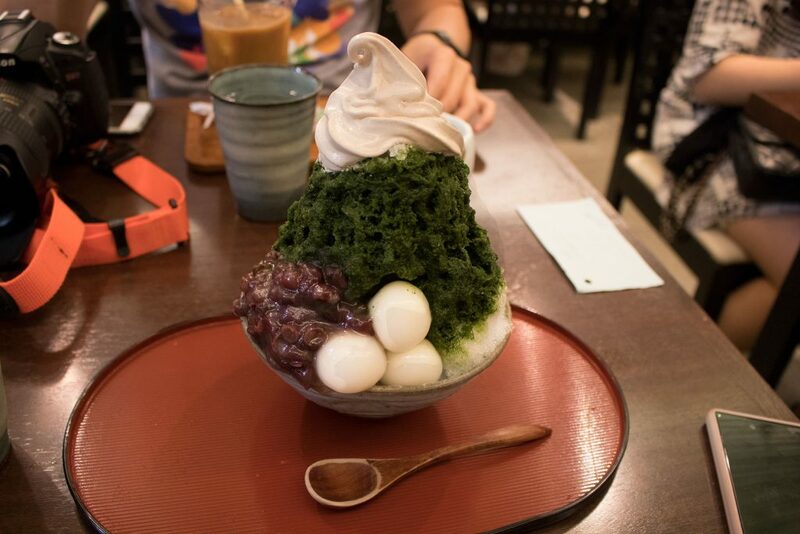 Ujikintoki shaved ice (featured above) is a local specialty, coming with dango mochi, Azuki red beans, and soft serve ice cream. You can get it at most dessert shops in Kyoto, and it is worth every bite, but might leave you with a bit of a brain freeze since it’s so huge. 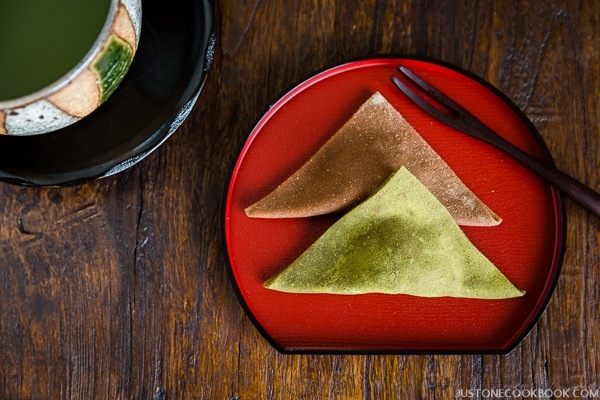 Also matcha flavoured is Kyo Baumkuhen, originally a German cake that the Japanese have really made their own, and it is an incredible cake. If you see it and you don’t buy it, I will personally be offended. Even people who don’t like sweet things or cakes will love this. It’s dedicated layered, soft and fluffy, and the matcha flavour is just right. You can get it at most souvenir stores, but it also has its own store in Kyoto. Ask a local what to eat and they’ll say soba, I guarantee it. Soba, aka buckwheat noodles, are thinner, more textures, and more flavoursome than other famous Japanese noodles. They have a distinct taste, not just generic “noodle” flavour, and they’re satisfying served both hot and cold. 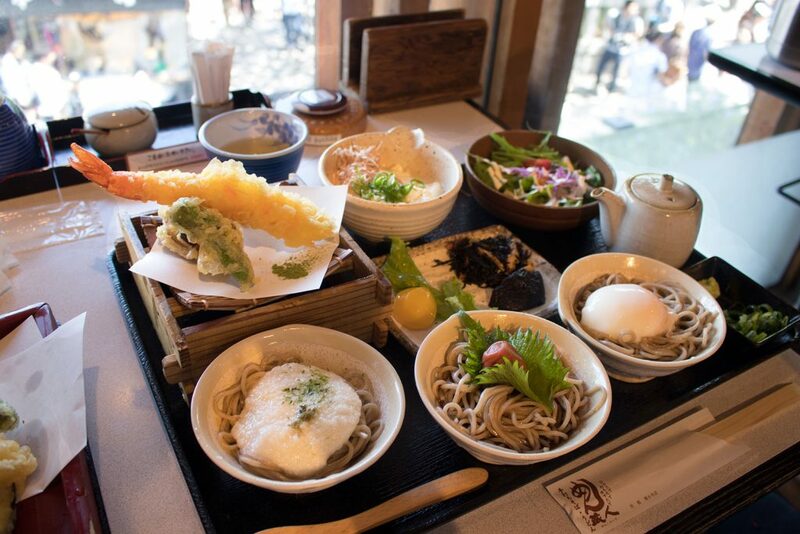 Nothing beats cold soba on a warm day, and the most popular style to eat it in is called zaru soba, which is where you dip the noodles into a cold soupy sauce and slurp it up. Kyoto zaru soba is honestly on a level of its own when compared to the same dish in other areas of Japan. The noodles are hand cut, and walking around you can see chefs preparing the noodles through windows. I once found ginger yatsuhashi that were amazing and I’ve been devastated that I’ve never been able to find them again, but these biscuit like treats come in all sorts of flavours. At sweets stores that sell yatsuhashi they often make them so that you can watch while they’re being cooked and you’ll be encouraged to try a sample of every flavour until they have to roll you out of the store. It’s entirely possible for your diet in Kyoto to be made completely of samples. Similar name, not similar in any way at all to yatsuhashi, nama yatsuhashi are little squares of mochi filled with red bean paste (or other flavour) and then folded into a cute little triangle. The flavours get pretty creative, including sakura and Ramune lemonade. You can buy these in huge boxes, or little packs depending on whether you want to eat them all alone in your hotel room or take them home as gifts. This is probably my personal number 1 Japanese dessert, and if you haven’t tried them and don’t have plans to go to Japan any time soon, you can actually get them at both Yebisu locations! If you’re in Japan, check out Hourando, which Marta wrote about in her Ki-Yan series! 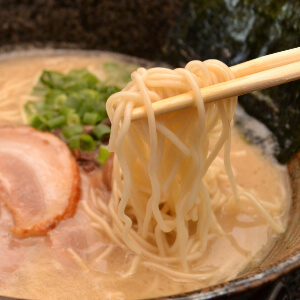 Check out this recipe to make nama yatsuhashi at home! Everything else can be bought as a souvenir and eaten later, but these three you should eat fresh from the source!